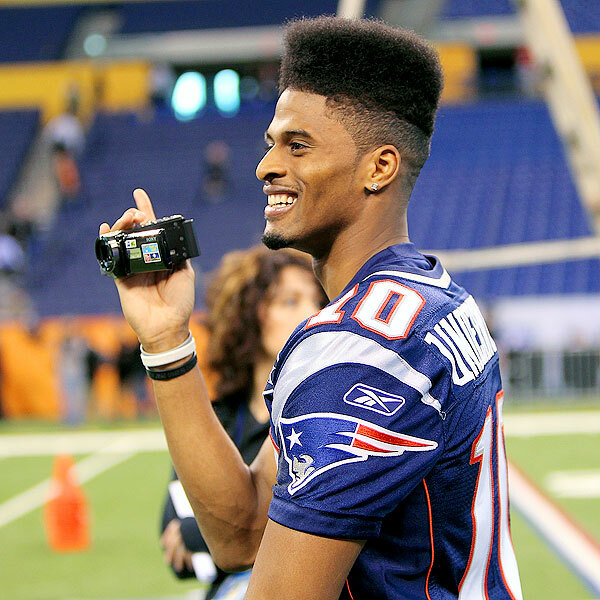 Looks like a Patriots’ fan favorite will be sporting his freshly ‘Pat’ed high-top afro from the rafters of a suite as Bill Belichick releases Tiquan Underwood less than a day before Super Bowl XLVI. In what many describe to be a yet another classless move by Belichick and the New England Patriots, wide receiver Underwood was taken through the motions of team photos, flying family and friends out for the big game, and relishing the whole day as an integral part of a team that many believe will take another Super Bowl win–all to be told a mere 20 hours before game time that he’s being cut and rookie Alex Silvestro is being promoted from the team’s practice squad in his stead. While the Patriots have consistently made moves like this in order to keep their lineups fresh for each game, Belichick is consistent in his rudeness too. Known to many as a cheater and sore loser, Belichick has infamously walked off the field before the game clock expired during Super Bowl XLII, despite being told by referees to show sportsmanship and remain on the field. Moves like this make the New England Patriots gain more protesters than fans.